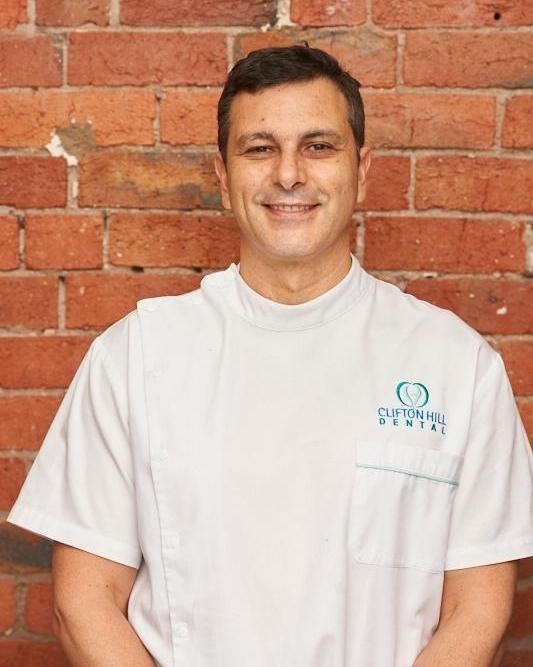 Clifton Hill Dental was established in 1994 by Dr Nick Malamas and since this time has grown into a team of dental professionals providing high-quality dental services to the community. Our experienced team aims to provide the best possible service to all of our patients, regardless of whether the work being done is simple restorative, preventive or complex implant, cosmetic and dental reconstructive dentistry. At Clifton Hill Dental, we provide any person who walks into our practice with personalised care and the most up-to-date techniques and procedures. We treat patients with respect, care and compassion as we would like to be treated ourselves. Our team members have mutual respect for one another and our patients, do their best, work together harmoniously and are proud of what they do to provide caring, efficient service to the people we serve. We acknowledge that a good professional life plays an integral role in personal fulfilment. If you would like to learn more about our team members, you can read our professional biographies below. Dr Malamas has completed a Masters program in implant dentistry at the University of California in Los Angeles, is a member of the Australian Osseo Integration Society and has completed a number of short courses in this field. As part of this training, he completed a residency in Lisbon, Portugal with Dr Palo Malo, the inventor of the ‘All-On-4 teeth in a day’ system. Dr Malamas’ philosophy is to provide the best possible dental care in a gentle, caring and professional manner. He and his team believe in treating the person, not just a mouth. Dr Michelle McIntosh graduated from The University of Melbourne with honours in 2008. She worked for two years as an oral surgery resident at a number of hospitals gaining vast experience in oral surgery, including implant placement. Michelle completed a Master Clinician Program in Implant Dentistry at UCLA in 2014. Michelle enjoys all aspects of dentistry and has a keen interest in surgery. She continues to teach dental students at The University of Melbourne. 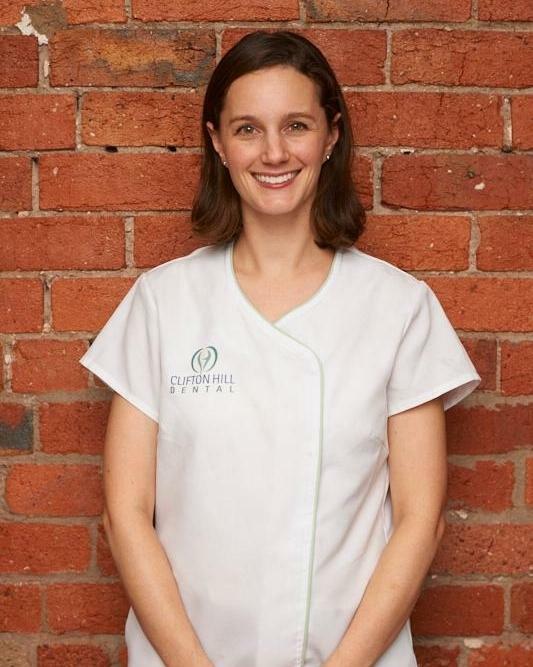 Michelle is committed to providing high quality and comprehensive oral health care to her Clifton Hill Dental patients. She has a caring and gentle demeanour that puts even the most nervous of patients at ease. Dr Jeremy Hockey is originally from Sydney; he graduated from the University of Sydney with a bachelor of medical science. He then did a year of primary school teaching where he taught grade four. 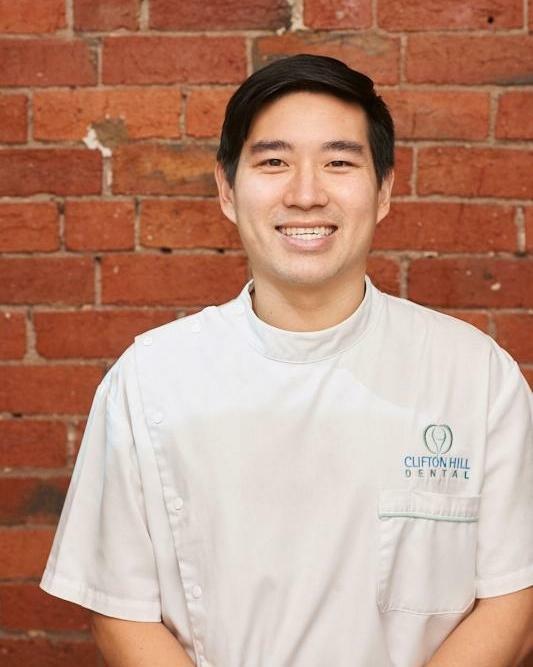 After one year of teaching, Jeremy moved to Melbourne to study at the University of Melbourne to earn Doctor of Dental Surgery, which he graduated from in 2014. Jeremy is interested in implant surgery, oral surgery, cosmetic dentistry and also children’s treatment. Jeremy is passionate in educating patients of all ages on the importance of oral health. His gentle nature aids in making people feel relaxed and can even settle the most nervous patients. When away from the surgery, you will often find Jeremy enjoying sports such as tennis, badminton and soccer. He is also passionate about travel and is a self-proclaimed foodie. Jessica grew up on a 20-acre farm in Eden Park before earning her Bachelor of Oral Health Science with an extended scope of practice at Latrobe University where she graduated in mid-2015. Jessica joined the Clifton Hill Dental team in early 2017. Before joining us, she worked in public community dental clinics across the peninsula and northern suburbs. Because Jessica enjoys creative endeavours, you will find her making things in her spare time and doing crafts like woodworking, knitting or painting. She also spends plenty of time renovating her little house in Bendigo. Jessica is passionate about travel and discovering different cultures and cuisines. 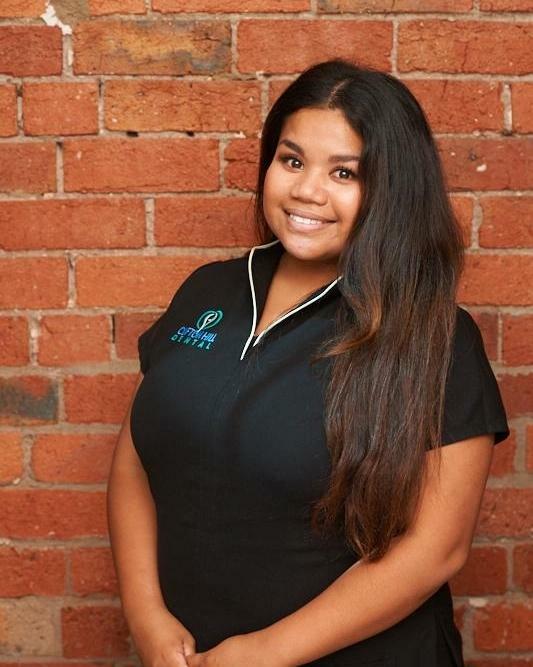 Rita is originally from Melbourne and earned her Certificate III in Dental Assisting at the Royal Melbourne Dental Hospital. 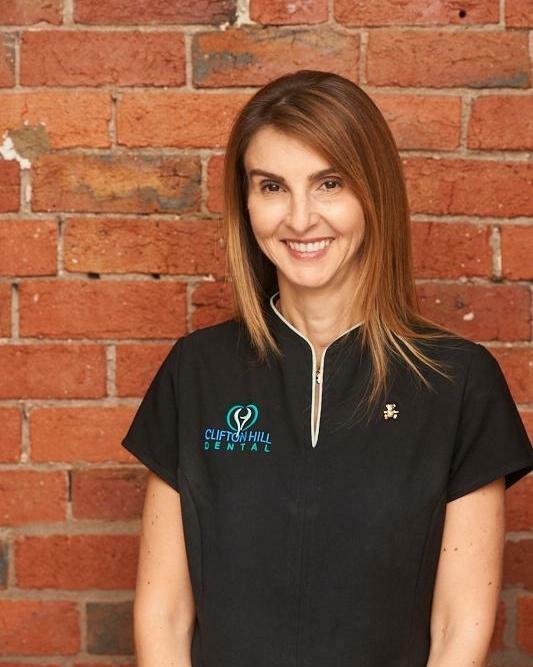 Rita has been a valued member of the Clifton Hill Dental team for over 17 years. Her favourite part of her job is our friendly patients. She loves helping others and values her role in our patients’ oral health. When away from the dental clinic, you will usually find Rita reading, walking and going out for dinner with friends. Hannah grew up in the Northern Suburbs of Melbourne before earning her Certificate III in Dental Assisting in 2006. 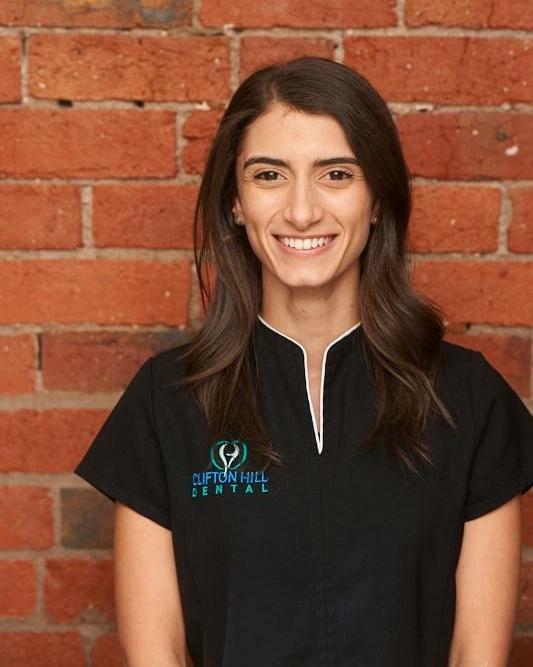 She has been a part of our Clifton Hill Dental team since 2011 and loves helping people and making a difference in their smiles. She also enjoys working with our professional and caring team. It makes getting up early and to head to the clinic enjoyable. When Hannah is relaxing in her free time, you will find her surrounded by friends, her big family and her rescue dog Rokei. She enjoys outdoor activities like gardening and going on adventures around Victoria. Rondalyn grew up in a small town in Central New South Wales. She has had a lifelong love of the arts and earned her education in fine arts, which complements her professional career here at Clifton Hill Dental. One of the aspects Rondalyn most appreciates about working in the dental clinic are the great work ethics and the supportive team we have. She enjoys our friendly patients, which makes coming into work fun and enjoyable. In her spare time, you will find Rondalyn expressing her creative sensibilities through arts and crafts. Tessa is originally from Melbourne. 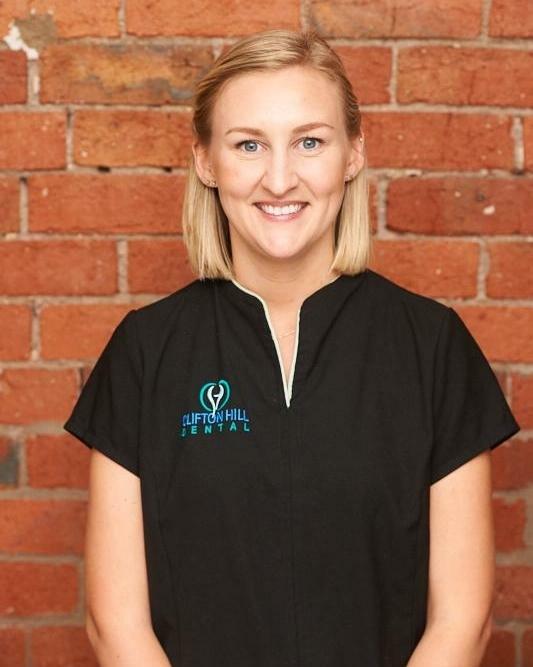 She has been with the Clifton Hill Dental team since 2014 and gained her Certificate III in Dental Assisting at RMIT University Melbourne in 2015. Tessa loves everything about her job – from the amazing team to the skills required in assisting our dentists during procedures. She loves seeing our patients confident in their smiles. To relax, you will often find Tessa gardening, playing basketball and spending plenty of time with her friends and family. Mekaela is originally from Launceston, Tasmania. 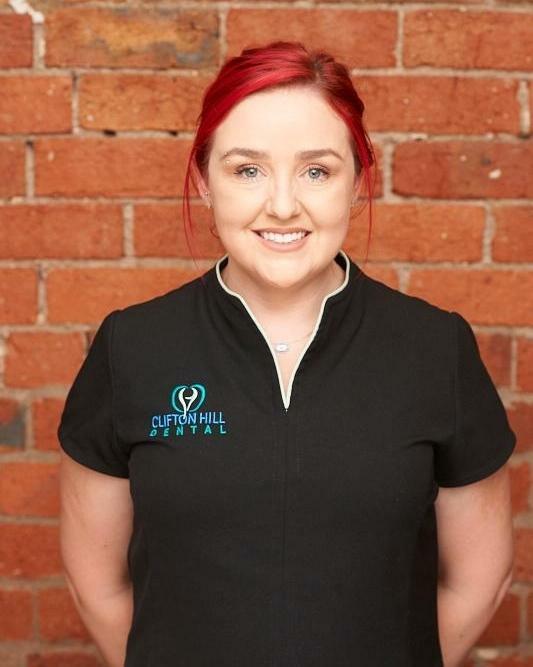 She joined the Clifton Hill Dental team in 2017 and completed her Certificate III in Dental Assisting at RMIT University. She loves the people she works with and helping our patients stay healthy. When she is away from the dental clinic, you will find Mekaela playing indoor soccer, walking and hiking with her dog and trying new flavours at local eateries.